Posted by Sam Smith on Sunday, August 28th, 2011 at 9:27pm. One of the best places to find small Newport Beach Cottages for sale is in the Balboa Island area of Newport Beach, California. 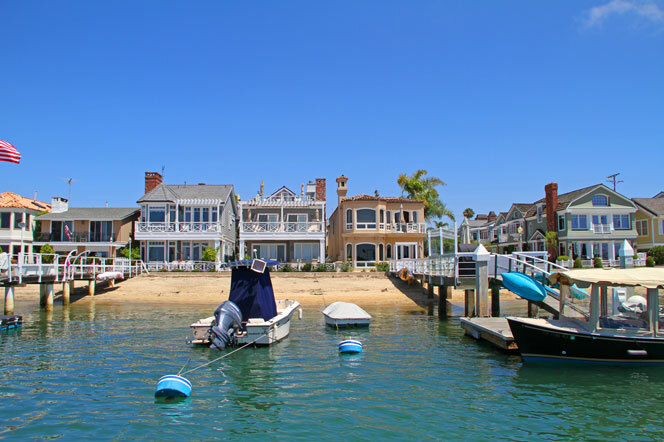 Balboa Island is rich in history with many of the unique historic homes can be found in this small & remote bayfront location. Beach Cottages are a simple reminder of homes that were used as vacation homes as Newport Beach was a popular vacation destination dating back to the early part of this century. If you are looking for a small beach cottage in this prime location then you may be interested in this home that just came on the market on Balboa Island that has all the charm and personality of a beach cottage home. If you find Balboa Island to be too expensive for your budget there are many other parts of Newport Beach to find a quality beach cottage home. We recommend the West Newport Beach and Balboa Peninsula area as a great place to find these historic gems that are close to the water at a more affordable price. For more information on Newport Beach cottages for sale please consult with any our Newport Beach Real Estate agents today at 949-444-1901.